The first initiative of the Society, Riverside Estates, began in the summer of 2016 and was completed in April 2017 with the first four-unit building opened for occupancy. Two of the four units are barrier free, responding to needs of people living with disabilities. Construction of Phase II of Riverside Estates began in Winter 2018 and another 10 units (two of which are barrier free) will open in September 2018. The model of affordable housing envisioned by the AAHS is unique in its foci on financial, environmental, and socially sustainable housing. Financial sustainability is achieved through active fundraising, engaging in community and government partnerships, thus allowing the Society to keep the rents low to meet the needs of low income people. Environmental sustainability is being achieved through sound and efficient building design and construction. Heat pumps help to keep energy costs low. Garden boxes have been placed around each unit to promote socializing as well as residents’ healthy eating. Future plans include exploring the installation of solar panels to further reduce costs and lower the carbon footprint. A unique feature of the AAHS model of affordable housing is the creation of the position of a Community Navigator whose role is to support tenants in connecting to community resources and to create social inclusion within Riverside Estates and with the larger community. The Community Navigator works closely with the Tenant Advisory Committee which meets biweekly to discuss issues pertinent to Riverside Estates. The Society is actively documenting the accomplishments of the Community Navigator. 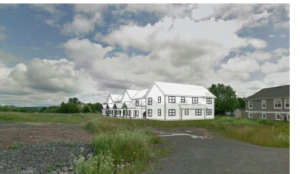 The wider Antigonish community reinforced AAHS’ goal of building a healthy inclusive community by giving tremendous support to the Society’s application to create a community room at Riverside Estates during the 2017 AVIVA Community Fund Competition. The AAHS was granted $100,000 to add a community room to Phase II of Riverside Estates. This communal space will allow for a common space to build greater community among the residents of Riverside Estates. In the spring of 2018, AAHS partnered with the StFX Extension Department and marked the celebration of a People’s School on Affordable Housing at St. Ninian’s Place. This province-wide day-long workshop brought together community volunteers, people living on low income, civic leaders, and researchers to discuss strengths and challenges in creating sustainable affordable housing throughout Nova Scotia. There was a great sharing of information and this workshop increased capacity around affordable housing in Nova Scotia. Many groups expressed interest in the model that the AAHS is developing. Our current research suggests the need for affordable housing is great. In Antigonish the presence of university students skews the rental market and keeps rents high for housing, making it especially difficult for people on low income and with disabilities to secure safe and affordable housing. Each time units become available at Riverside Estates the number of applicants requiring affordable income greatly outnumbers the units available. As one of the counties in Nova Scotia with the highest number of seniors, we especially notice the number of single senior women who cannot find safe and affordable housing within the town of Antigonish. Increasingly, we note the number of young couples with small children who cannot find affordable housing within Antigonish. While the AAHS has been proud of its achievements, we see the work that still needs to be done. 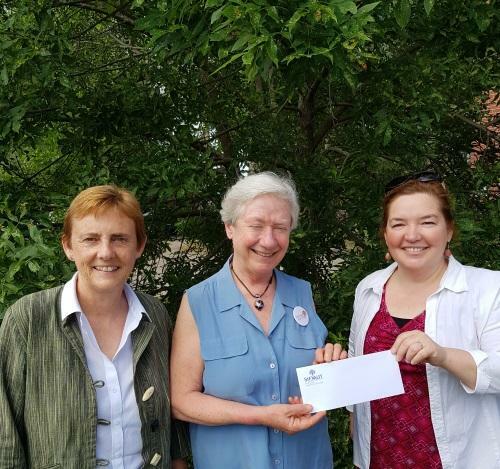 The Society was very pleased to receive the generous donation from the StFXAUT of $2000. 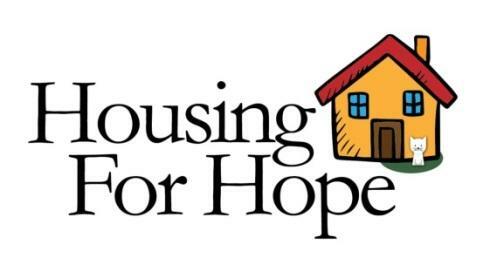 This will help us achieve our goal of creating Housing for Hope. If you would like more information about the AAHS, please visit the website. To learn more about how you can support the AAHS, please click here. Volunteers and support are always welcome! This entry was posted in News and tagged antigonish, charity, children, community, extension, fundraising, health, housing, inclusion, novascotia, rent, research, senior, social, stfx, students, university, volunteer, volunteerism. Bookmark the permalink. Both comments and trackbacks are currently closed.